Businesses often find themselves overwhelmed when it comes time to choose a telephone system, whether they are looking at setting up a new business or making changes to an existing system. The following guide is intended to help making those decisions based on considerations specific to your business. Determine who will be using your telephone system, both internally (employees) and externally (incoming callers). Find out from your employees what things work for them, as well as what things they find challenging. Get feedback on the features that are used the most, as well as those features that are rarely or never used. Are some of the features too difficult to make them useful in your environment? Are there features that are simply not necessary for your business needs? Will telephones need to be available for remote workers or at multiple locations? Pay attention to any feedback received from incoming callers regarding their experiences. Do your customers have trouble reaching your staff? Do they often experience dropped calls? 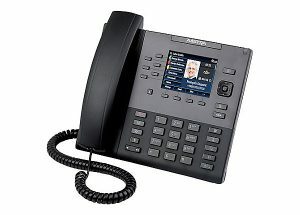 Determine the number of telephone users and stations that your business will need, not only today, but in the future. If you expect to increase the number of employees or expand into another location, these are things that will need to be taken into account when considering what equipment you will need in order to have room to grow. However, if you do not foresee the need for additional telephone stations in the near future, you may not need as robust of a system. How do you need your system set up? What features and options are necessary for your company to optimize the work environment and what items would simply not work for you? For example, in some offices, employees have specific extensions and always sit at the same desk, and in other businesses, employees may work from various work stations and not have the need for a static location setup. Determining how your employees work, and where, will assist in determining what features and telephone options are best suited to your business. Having a technical “map” of your business layout and systems for telephones and networking will then assist in determining the scale and scope of what your new system will need to be in order to best suit your needs. Determining your current network setup and evaluating the needs of your users allows you to create a plan of action in order to implement any changes that are needed when the changeover takes place. A network evaluation by a reputable company will assist you in looking closely at your current setup as well as help to identify any areas that may need to be addressed before a new system is implemented. Any issues that exist in your current system should be addressed to make sure that they are not carried over into the new system due to other areas of concern. For example, if the wiring in your current system is not up to industry standards, any line quality issues could be carried over to the new system if the wiring is not replaced. Businesses are often not prepared for the costs of telephone systems and services. When choosing your telephone system, your budget will be a determining factor in the types of services as well as the equipment choices made to best fit your company needs. While having a large budget may mean that you can implement more “bells and whistles” into your system, having a limited budget does not necessarily mean you have to give up the features and functionality that you need.